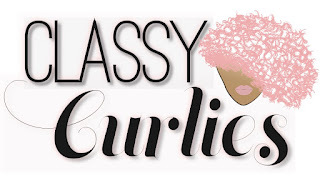 Looking for hairstyles...searching for hairstyles. That's all I did last night as I wanted to find a style for my trip to Atlanta this weekend. (Details here). 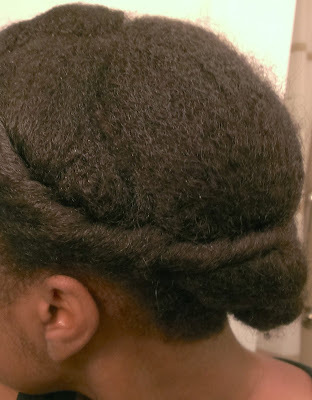 I thought about doing my favorite voluminous twistout or braid out but I decided against it. 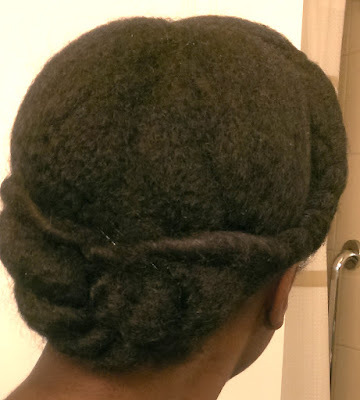 Instead, I chose to go with a simple protective style. I began with an old style that I wore all last week (It was pretty cute and you can check it out here). 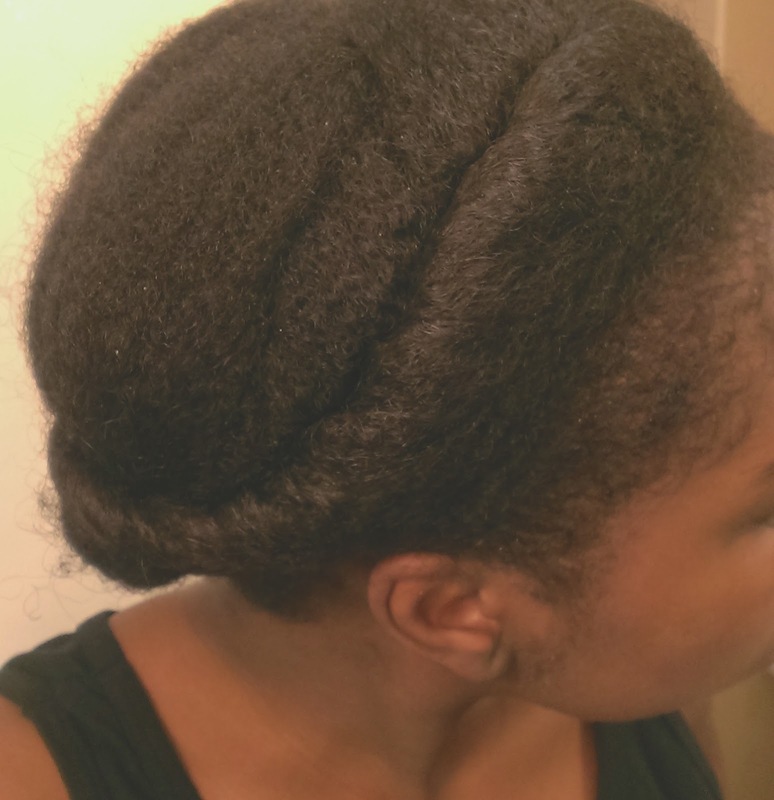 Using Bask and Bloom Essentials' More Moisture Cream to style, I created a small part to the side then separated my front and back sections. 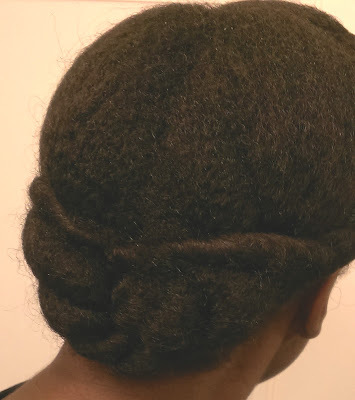 While clipping the front sections out of the way, I split the back section into halves and created two lose two strand twists. Once these were completed, I crisscrossed each twist, then pinned them in place. With the back section done, I did two tuck and roll twists on each front section, then pinned them over the back section. I'll be sporting this style all weekend until I have time to wash on Sunday. I have an early flight back to Indianapolis Sunday, however i'm on a board for a community organization and they are hosting a fundraiser...so this will be an eventful weekend! 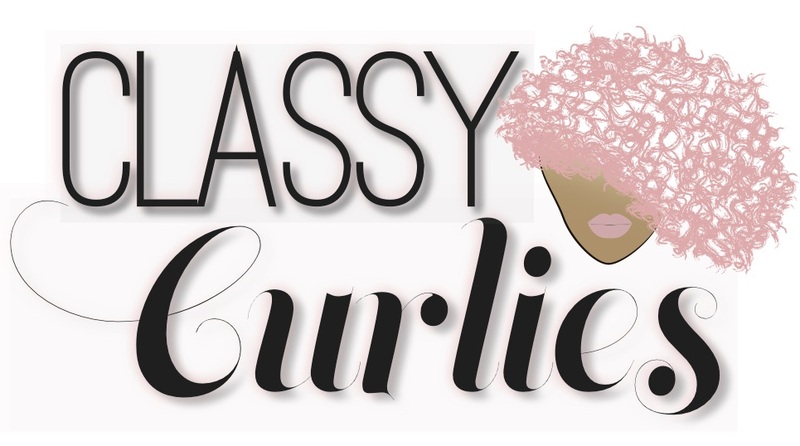 See you at the hair show! 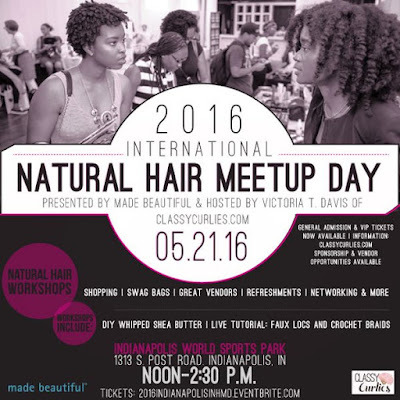 If you're in the Indianapolis area I personally invite you to International Natural Hair Meetup Day taking place in Indianapolis May 21. I'd love to see all of you there!